Country exports about 85% of its vehicles and auto parts to U.S.
Canada's auto exports depend heavily on a healthy U.S. economy and Americans' demand for new vehicles. Canadian automotive exports will stall in 2017 after increasing nine per cent last year, Export Development Canada says. Daniel Benatuil, an economist who covers the auto industry for the federal agency, said shipments of cars and auto parts will dip by one per cent this year before advancing two per cent in 2018. “Essentially, you’re keeping a high level, but you’re not growing materially this year. You’re seeing a bit of stabilization,” Benatuil told Automotive News Canada in a telephone interview. Canada’s auto exports depend heavily on a healthy U.S. economy and Americans’ demand for new vehicles. About 85 per cent of all vehicles and auto parts produced in Canada are shipped to the United States. In 2016, new-vehicle sales in the United States reached a record 17.54 million units, but the industry has posted four straight monthly declines to start 2017. As a result, Canadian auto exports are down seven per cent this year through April, Benatuil said. The good news for Canadian automakers and parts suppliers is that new-vehicle sales in the United States are forecast to rise very slightly in May from a year ago, narrowly snapping that four-month losing streak. And,LMC Automotive said it now expects 2017 U.S. sales of 17.2 million vehicles. Benatuil said Export Development Canada “doesn’t see any flashing red lights” when it comes to the U.S. economy and long-term demand for Canada-made vehicles and auto parts. He said “we are very likely to see a very unusually long expansion” of auto sales. The United States has low unemployment and interest rates also remain low. “Imbalances in the economy haven’t really been built up,” Benatuil said. He said Canadian auto facilities were running at 94 per cent capacity in 2016 and that they have “fairly tight production capacity” at the moment. But, some business decision will weaken overall capacity and production this year. For example, General Motors is moving GMC Terrain production to Mexico and consolidating Chevrolet Equinox assembly in Ingersoll, Ont., meaning the automaker will likely produce fewer total vehicles in Canada this year, Benatuil said. 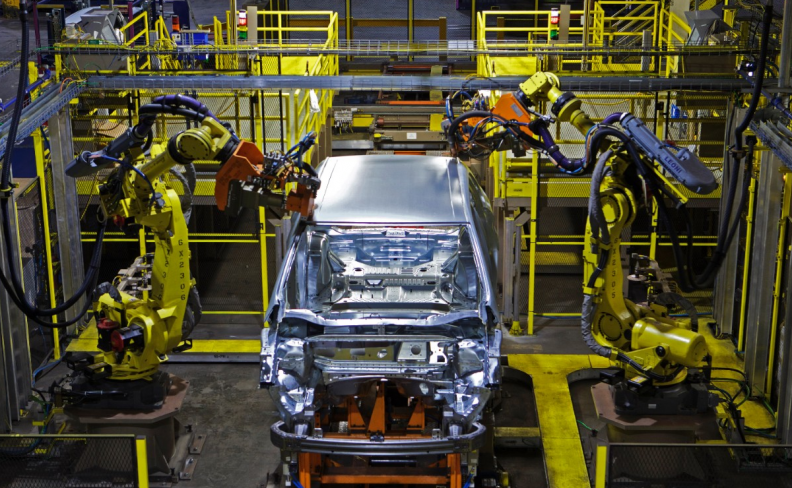 The retooling of GM’s Oshawa plant is also on the horizon. Fiat Chrysler Automobiles hasn’t yet announced a date for the new paint shop at Bramalea. Benatuil said OEMs have only made investments in brownfield projects and retooling, which doesn’t really add capacity or increase the number of exported vehicles. “Regardless of what happens in the U.S. we’re producing fewer vehicles,” he said.